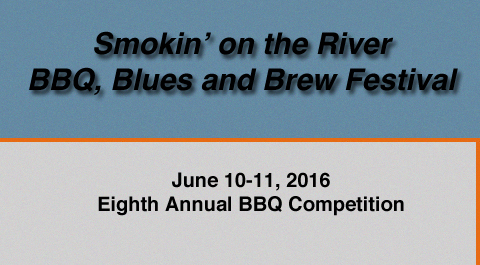 We're excited to host the eighth annual Smokin' on the River BBQ Competition in Jeffersonville, Indiana. This is a national BBQ contest that is sanctioned by the Kansas City BBQ Society and is a qualifier for the Jack and American Royal. Payouts will be made to the top ten winners in each category direct lender here: hart loan direct lender. 2014 KCBS Official Rules & Regulations. Come and be a part of Jeffersonville's annual state BBQ competition June 10-11, at the corner of Spring Street and Riverside Drive. Watch professional BBQ teams vie for the championship trophy and share in a purse of over $8,500.00. Listen to music as you stroll down the river smelling the smoke of the BBQ. Beer Garden open during the event for those 21 and over.